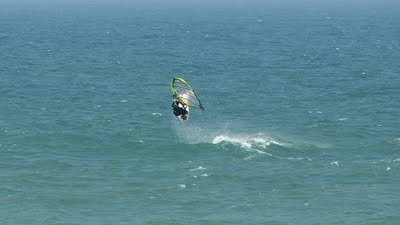 When I got there I was the only windsurfer (there was one kiter, way up wind from me) which was not a good thing... But the waves looked so nice! Organized sets, clean, perfect chest high swell. 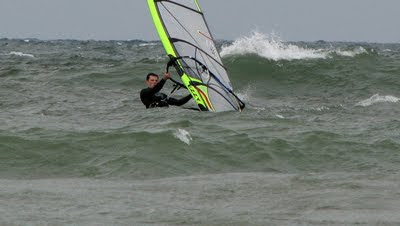 I rigged my 6.5 and wet out, only to corroborate what I already knew: that there was not enough wind... getting out was tricky but I made it through the white water, and once I got past the barrels, the wind filled in and I got in the straps, heading upwind as much as I could. This launch is an interesting spot, in the middle of an industrial area, not a typical "paradise" one would say. Long story short, I didn't nail my jibe, and had to waterstart in front of the natsy chimneys of some refinery... not great... but the swell was so good! 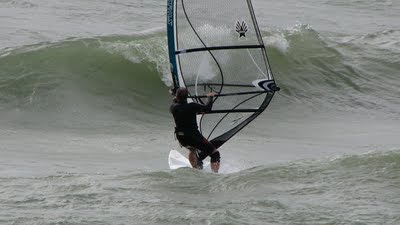 So on the way in, I grabbed a few super nice waves that pushed me downwind. But the swell was so great... I'll go back some day! Great weekend at Oval Beach! I got there Saturday morning, and the weather was less than perfect, with lots of rain and occasional thunder... But after a couple of hours the weather cleared... time to rig the 5,2... I sailed for two hours with Mark and Wendell, and when the wind dropped, was pretty exhausted... The word at the beach was that Sunday was going to be even better, so we stayed at a Hotel for the night. We got back to the beach on Sunday morning and it was already cranking, 5,2 again, perfect on the inside, but a little bit small for the outside. Nevertheless, I stayed with the 5,2, trying to land some airs (I'm still afraid of these ramps!). In summary, awesome weekend... Check out the pictures! Finally I have some time to update the blog! Since I moved to Chicago I've been working pretty hard, but this weekend I was rewarded with a killer session at Oval Beach, Michigan. 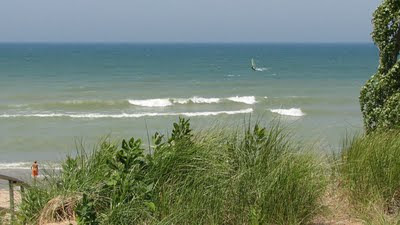 I got in touch with the local crowd, through a website called windsurfillinois.com (check it out!)... These guys have been exploring and sailing in the area for a while, and are full of stoke!!! 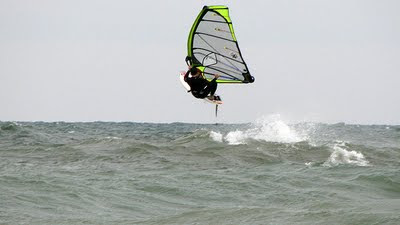 Some of the images belong to windsurfillinois.com. Photograper: Reid Fillman. For more, visit the website!